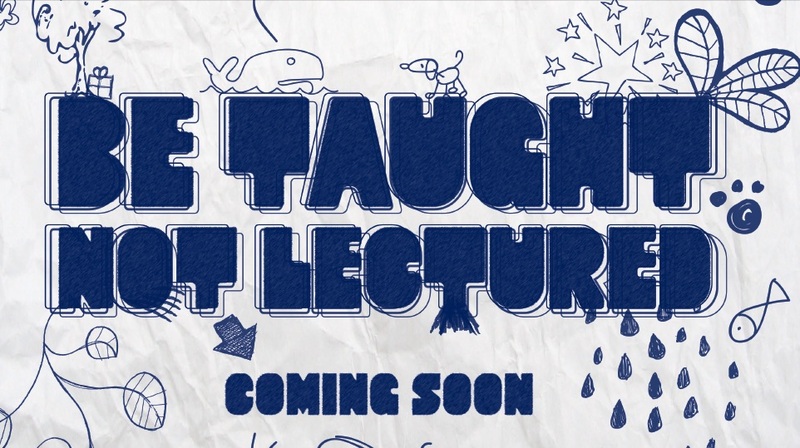 Opinion: Why is Brunel University’s student union trying to dumb down lectures? The picture below is a genuine advertisement that appeared in Brunel University’s student newspaper, Le Nurb, this month. It was sponsored by the Union of Brunel Students, which is campaigning to replace traditional lectures with school-style lessons for undergraduates. Of course, doing so merely demonstrates that UBS’s Vice-President for Academic Representation, Craig Best, who is leading the anti-intellectual campaign, has missed the point of higher education. “University is emphatically not about spoon-feeding and hand-holding through courses,” said Professor Anthony Grayling in a Guardian column some time ago. The professor is, naturally, correct. Higher education is about self-directed learning where you read up on your topic in your own time, for your own intellectual enrichment. Being spoon-fed titbits in order to pass your exams merely reduces learning to lazy parroting, as recent generations are finding out to their cost. Key to Dr Hardman’s point is “self-discipline”. Employers value graduates who can think for themselves and don’t need to have their hands held. Academic training teaches undergraduates how to reason through a problem and how to overcome it without being completely dependent on others. Best’s scheme will devalue Brunel degrees and make Brunel graduates less desirable to employers. Ominously, Best’s scheme may also have implications for recent Brunel graduates whose existing qualifications may be called into question by his proposed scheme. More importantly, from the intellectual point of view, dumbing lectures down into lessons degrades the learning experience for those who enjoy learning for its own sake. If Best was at all serious about improving the quality of learning, he would campaign for more seminars and other forms of guided learning. Instead he tries to drag everyone down to his level. Introducing school-style lessons into universities will reinforce the “patronising culture that defines undergraduates as immature beings who cannot look out for themselves,” in Ramsden’s words. Best’s view of learning is childish and immature compared to the professional academics with decades of experience in the field. It is a shame that he is in a position of responsibility where he can negatively affect Brunel’s 17,000 students. The West Londoner attempted to contact Best prior to publication numerous times during office hours without success. Of course, what is really unfair is the fact that everyone else who cannot stand him, whether for his attitude, his hair or because he was a bloke wearing skinny jeans, will never get to see the nation grow tired of him and tell him he isn’t big or clever anymore. Ever since he literally talked his way through his rendition of The Black Eyed Peas’ song “I Got a Feeling”, which was worse than some of the material in the auditions, it was clear he could not possibly win this. He was a farce, funny to watch, but one to drop as soon as the semi-finals arrived. A bit like Wagner. But, now that his fate has been decided by the powers-that-be, he thinks he can actually sing! He has been given an excuse by the show’s bosses for his dismissal, and leaves with Z-list celebrity status, evading his pending lecture on the harshness of life like a naughty schoolboy. It has even been stated that he is actually “going to take some time out before continuing his career as a singer.” Well, I bet Malia has a cracking karaoke scene anyway! So why so soon ITV? With great pride comes a great fall, and all that. It would have been far more entertaining to have him stay until the final three, and then see him ditched like one of his conquests. You wanted him in because he was “a cheeky chappy” with “charisma”, and now he has behaved like one you’re letting him go, on the grounds he broke a “golden rule.” That’s like having a pet lion in order to make you look tough, but then getting upset because it attacked someone. I would not be surprised in the slightest if the show’s already-suffering ratings take a nose-dive after this. At the end of the day, does anyone really get drawn into the X Factor because the people are genuinely good? Craig Colton and Misha B are certainly gifted. Yet, they are pretty boring to watch. It’s no fun watching a serial talent contest if the contestants are already talented and don’t really develop along the way. Maybe the latter could jazz things up by bringing back those outfits and hairstyles which make her look like an exotic bird? Unless something radical happens I, and I am sure many others, could very well lose interest in the show. Which brings us to Kitty Brucknell. How obnoxious she is, with her me, me, me attitude and her over-the-top dramatics. But can you honestly say you aren’t the slightest bit entertained by her antics? Did you see that scowl she had on her dolly face last Sunday night, when she was voted so near to the bottom? It was the sort of look a princess might have, after being told she couldn’t have her way. Are these not the reactions we tune in for? And unlike Frankie, she does have an amazing voice! Seriously, if I was listening, and didn’t know anything about her personality, I would enjoy her singing immensely. The only reason she is bound to be next for an axing is the fact that she put obstacles in her way by alienating her audience in the earlier shows, with unnaturally confident showiness. No-one likes an attention seeker! And that’s just what The X Factor is. A popularity contest. How else could someone like Frankie have managed to cruise through it while a genuinely talented singer like Kitty be subjected to the stress of a survival song? The latest twist, of course, is to have a previously rejected singer return to fill the void the mop-head has left. And who better than 16-year-old Amelia Lily, who is no stranger to Frankie’s ways. Is this the radical change the show needs though? Can she break the predictable and mundane routine that has settled, and prevent us reaching for the remote? Only time will tell, I suppose. For now, I guess we wave goodbye to Frankie…his crapness will continue in various MTV interviews and next year’s Big Brother, I am sure. And he will continue to address the never-ending queue of besotted and sozzled fans with undergound liasons, while his dad tallies them off like many other dads do when their sons score goals throughout a season. It was unsettling to watch his farewell though. As he exited the house, the shadow of Doherty seemed to fall across his departure. It will not be the last we hear of him, and he will still be dancing with the devil who takes the lives of many pop stars, for years to come. A tax, a tax I say! This has been a cry in Parliament within the past few months, and now it seems that tasty treats are on the government’s big list of things to area bomb with extra charges. Since a recent statement, claiming that by 2030 about half of us will be fully fledged fatties, struggling to breathe through lungs encased in a coat of blubber far better suited to a marine mammal, then perhaps it’s about time. A burger embargo could be just the thing the nation needs to stop our island from sinking into a sea of lard. Or is it? As far back as 2004, there were Parliamentary bleatings to bring in such a thing, in the belief that it will banish obesity forever. Of course, there wasn’t a recession on then, and it would not have been such a big deal for the majority to give up a little extra from their earnings in order to obtain such sinful food. But, tax or no tax, people are still going to go out and satisfy their cravings by bulk buying chocolate oranges. Evolution has hard-wired gluttony into our genetics after all, and that cannot be altered by the threat of financial loss. Considering the current threat of a double-dip recession, it doesn’t seem out of place to say that such an idea cannot come at a worse possible time. The general notion is well meaning. All the extra money that is inevitably raised will go towards the nation’s struggling healthcare, which should in turn help deal with the overwhelming crowds of obese Britons clogging the corridors of NHS hospitals like so many cholesterol laden arteries. But will it actually work, or is this farcical fudge made from the milk of your wages? A couple of case studies from elsewhere in the EU, where these taxes have already been implemented, are enlightening. Denmark adopted it since the 1st October on any foods which have a saturated fat content greater than 2.3%. But then, the Danes have also been taxing sweets for almost 90 years. So such a concept is probably taken in their stride. On the other hand, it makes little sense, seeing as unsaturated fat and other health harming nutritional values such as excess sugar and salt remain unaffected. In fact, seeing as butter, cheese and bacon are major Danish exports, it seems their government didn’t think this through at all. It might very well limit their intake, but then there is a danger it could also limit production. Currently there are 40% fewer obese Danes than obese Brits, but their numbers have continued to rise over the years regardless. It appears they like to hoard treats as much as the rest of us. In aptly-named Hungary, a nation famous for its fatty cuisine, a similar tax on high levels of sugar, salt and carbohydrates has been in place since 1st September. Any of its citizens wishing to enjoy a bag of crisps or a chocolate bar can be expected to pay a surcharge for the privilege. 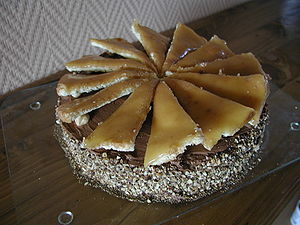 Curiously, fast food restaurants and traditional dishes like the Dobos Torte, a dessert consisting of five layers of sponge cake, chocolate butter cream and a caramel topping, have escaped taxation. 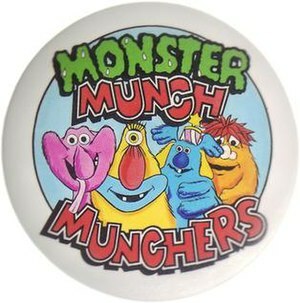 So, one might be paying monster prices for Monster Munch, but at least deep fried goose lard won’t burn a hole in your pocket. I find it difficult to believe that Hungary will see any positive changes from this. The average Hungarian, who is no stranger to smoking and a diet rich in fatty, salty pork, will likely continue to contribute to the country’s health issues. With Hungary and Denmark leading the way, more European countries seem set to follow. Finland, which already taxes sugared products, have expressed an interest in broadening it to cover saturated fats. We might very well be on the verge of a gastronomical domino effect. And, seeing as Britain’s obesity rate is at 24.5 percent, while Hungary’s is at a meagre 18.8 percent, perhaps the nation’s over-indulgers would be wise to seek out a Costco card. Referring back to the general economic atmosphere, consider this: families are already suffering from higher food prices, and the honest truth is that it is far easier to hand over 99p for a McMeat-wich, than stand in supermarket aisles for hours, painstakingly sifting through all the greens, and things that are classed as green but are in fact not green, to ensure they are free of all insidious elements. Not everyone can afford products emblazoned with the organic logo, and it’s not like there are many alternatives readily available. Even processed fruit is subject to VAT, so perhaps a better solution would be for the government to forget their love of using taxes to try and solve a problem and just cut them instead. But for now, can you really blame people for bypassing a 100ml bottle of elderberry juice at £4.59 a pop, when there is a well stocked row of own brand lemonade next to it, at 28p each? If additional money needs to be raised that badly, then they might as well go all out: perhaps deep fat fryers could require a license, with special license agreements to go with them. They could feature warning labels similar to the ones found on parachutes: “Use of this equipment could result in obesity and greasy skin.” Perhaps that’ll deter the Scots from coating everything in golden crispiness… It might also stop people popping down to Argos and wasting their money on an impulse buy. That DeLonghi won’t make you any more friends unless they especially love burnt potato slices, and you’ll end up never using it anyway. Of course, I am not being serious, but it does seem like a better idea than punishing all the moderate eaters in the UK for the actions of their more spherical countrymen. However, there does remain a single ray of hope. It shines out from Romania, a nation where the average citizen spends 40 percent of their income on their food bill. Having weighed the pros and cons, its government scrapped the idea on the basis that it was too risky, and that the poor were under enough financial pressure already. Hopefully Britain’s government will also see this logic. 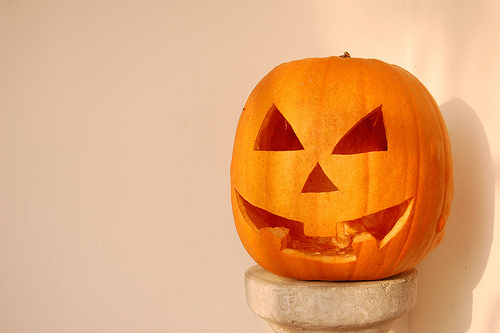 According to a recent survey commissioned by Santander Insurance, 1 in 5 people would support banning Trick or Treating following the riots which swept across London earlier this year. Around 22% of people surveyed believe that the yearly custom should have an outright ban, while 50% said that parental accompaniment should be compulsory in order to control the behaviour of children. Furthermore, 43% of people would support a ban on people wearing masks which obscure the face over Halloween, and over a third of people asked would support a ban on people wearing hooded tops. Andy Smith, head of media relations at Santander, said: “The summer’s riots resulted in a huge amount of innocent people becoming victims of crime. Our research would suggest that there is genuine concern about any more criminal damage or anti-social behaviour taking place in the period that surrounds Halloween and bonfire night – a period which many people already find intimidating”. As an English cricket supporter I am an enthusiastic fan of Sir Ian ‘Beefy’ Botham. He has scored over 5000 runs in his test career and has taken over 380 wickets. Any cricket lover will be aware of the 1981 Ashes series which became known as ‘Botham’s Ashes’ because of an incredible performance from him which led to an English victory in the series. He has also been given honorary life membership to the MCC; his picture hanging in the much coveted Long Room Bar at Lord’s Cricket Ground, and he has played professionally for Scunthorpe United and Yeovil Town FC. A few weeks ago Sir Ian wrote an article in The Telegraph saying, amongst other things, that cricket is good for schoolchildren; I couldn’t agree more. There are so many things to be learnt from cricket, which in my opinion is the greatest sport in the world. For those who are not cricket fans, let me give you a fleeting description. In a cricket team there are eleven people all offering something different and with the correct balance of personalities and talents, an unstoppable team is created. When batting there is an order in which batsmen play, and the skills and talents of each batsman determines their position on that order. 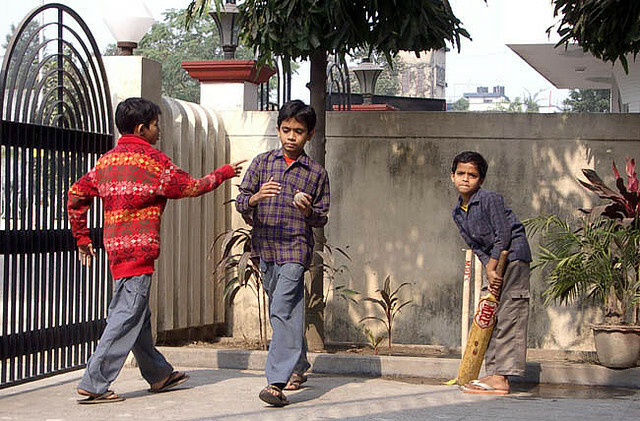 Similarly, when fielding, different bowling talents offer different attacking options; different areas of the field require different aptitudes to ensure wickets are taken. Our society here in Britain really is an exceptional one. We are such a mix of people, cultures, knowledge and skills each bringing something different to the table… or to the field. Everything which makes up our varied communities is wonderful and creates something extra special. As I have explained; cricket is an amalgamation of talents working together; providing individual talents, skills and abilities to support the overall objective of the collective. What an excellent model for us to adopt for society. What’s that old expression? ‘The whole is greater than the sum of the parts’ This is certainly true of our society; I believe our ‘whole’ country really is great. There are other intrinsic principles to cricket which also should be intrinsic to our society. 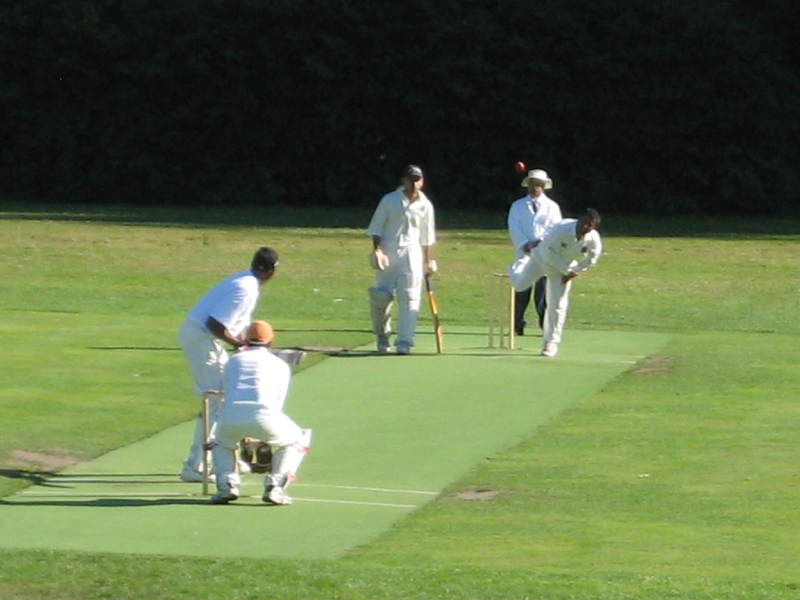 In cricket, the bowler will not begin his bowling attack until he is confident that the batsman is ready for it. If the bowler should start his attack, or his ‘run-up’ as it is known, before the batsman is ready, the batsman will signal to him and he will stop and start again. How excellent a mind-set that even in professional, competitive sport there is such a dedicated, obvious and adhered-to policy of fair play? And isn’t that something everyone wants in the country? There is also incredible discipline and perseverance in a cricket match; they do last for five days, after all, and, depending on weather, 26.6 football games could take place during one Test cricket match. There is much criticism of the school system in this country, especially with regards to discipline. Boris Boot-Camps have been unveiled across London to instil some discipline, sense of responsibility and team work for school children. Perhaps the organisers of these boot camps and all the workers in the camps should listen to Mr.Botham and myself and make cricket compulsory for the benefit of society. We cannot ignore the headlines in all the papers and on the internet at the moment talking about the obesity that seems to be swamping the whole western world. The NHS is struggling to cope with the number of people with health issues related to weight problems such as diabetes and the country is unsure of how to deal with the problem. Andrew Lansley, the current Health Secretary, has said that people should eat less. This is true. Eating less is half the battle to a healthy lifestyle and therefore a healthy society. The other half is exercise. And where better to start than a sport where you win, by running more than the other team? I cannot stress enough how good cricket is for the country and why it should be more widely played and appreciated. A celebration of diversity, pulling together for the greater good, respect for one’s opponents, a sense of discipline and stamina as well as improving fitness. What are you waiting for? Stop reading this, ring a few friends and see how many runs and wickets you can take! Opinion: Why Britain’s not working. Sitting down with a cup of tea, flicking through TV channels showing programmes about infidelity, paternity tests, teenage parents and unemployed ex-convicts – a typical lunchtime for most students. In fact, that is exactly what I was doing when I stumbled across a news report stating that the number of adults who have never worked is higher than it as ever been. Well, since records began 16 years ago. Flicking back to Jeremy Kyle, I realised that I was not entirely surprised. If we were to rewind 100 years, we would find an entirely different picture – not least because television did not exist. During the First World War, everyone was expected to work. Men were conscripted, women went to work in munitions factories alongside skilled men in reserved occupations, and children were sent down mines for the good of the country. Funnily enough, there were no companies being sued for unfair management, sexual harassment or bad working conditions, and ‘tea breaks’ were literally just long enough to have a cup of tea. Fast forward to yesterday’s report from the Office of National Statistics showing that no adult in 370,000 households nationwide has ever worked: an increase of 18,000 since last year. Of course, the default reaction is to blame the government and immediately assume that Cameron and his team of Tories are to blame for Britain’s unemployment woes. 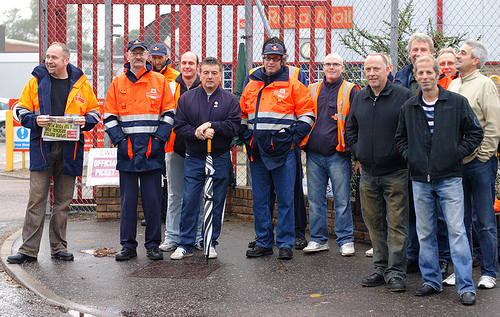 All of a sudden, people are having nightmares about picket lines and oversubscribed job centres. However, if you take into account the fact that a household is defined as having ‘never worked’ if no one aged 16 or more is in employment, we have a slightly different picture. In an interview last April, David Cameron said: “For youth unemployment, which has actually been going up for years in our country, the real change we need is actually in our education system to make sure we are producing young people at the age of 18 with a real qualification that people need in the modern workplace”. Figures released in June 2010 showed that the proportion of 16 to 18-year-olds at school, college or in training reached its highest ever level. Looking at this, it is perhaps understandable that people who are undertaking full time education will not have time to work, or will choose not to so they can concentrate on their studies. At my school, we were discouraged from undertaking more than 7 hours’ work per week so that we did not compromise our education. Of course, full time education to the age of 18 will become compulsory by 2013, whether you are undertaking a vocational course or studying for A-levels, so expect that ‘unemployment’ figure to keep rising. So, that is a fair amount of this figure accounted for – but obviously the nation is not made up completely of teenagers – there are old people, too. In 2008, there were more pensioners than people under 16 in the UK – again, an age group which is not mentioned and which somewhat alters the statistics. As with every financial crisis to ever hit Britain, the banks have to take a fair share of the blame. Lending money to consumers who are not able to pay it back has led to the government having to make cuts in public sector jobs. Some people are finding themselves being replaced by workers in company branches overseas; sometimes they are even replaced by machines in order to cut expenses. While public sector salaries are being frozen, economic growth is greatly struggling, VAT is rising and banks are still failing to lend properly, this hardly seems the time to be raising interest rates in response to a supposed “wage-led inflationary spiral”, despite what some are suggesting. The theory goes that if the government and the banks are allowed to continue making cuts and keeping inflation high, it will devalue the debt of the country and make it easier to pay off. To me, this does not seem plausible, but then again, I do not study economics. 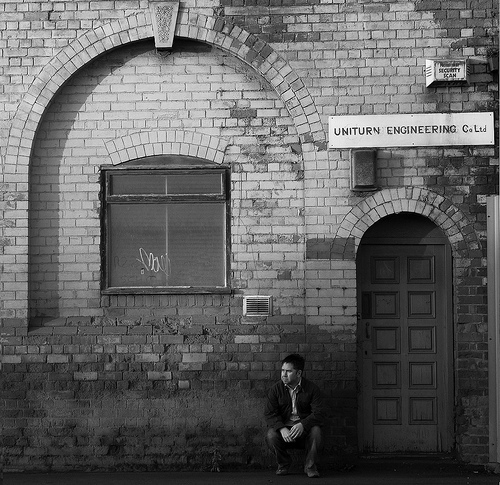 With employment cuts across all lines of work, from defence to manufacturing, the people who were once occupying these jobs are struggling to even find part-time work elsewhere and are in direct competition with recent graduates. It is perhaps little wonder that people who had limited job prospects in the first place are struggling to find somewhere to work in the current climate – but that is not to say that there are no jobs available. In the wake of last month’s riots, these figures throw a rather harsh light on a situation which has been comfortably ignored for the past decade. The children of Blair have been brought up in a society where their homes have been micromanaged and common sense is no longer common place. The government has been so soft on people claiming Unemployment Benefits – sorry, Jobseekers’ Allowance – that now there is a mentality that you may as well not work for the money you get – it’ll just be handed to you anyway. Youths are brought up believing that the world owes them something just for being born. I’m sure many of you saw the girl during the riots claiming she was ‘taking back her taxes’ by looting – although I very much doubt she has ever worked a day in her life. I have met people who have purposefully got pregnant so they can go into council houses and get Child Benefits; I even know one man who broke his own legs just so he could get Disability Living Allowance. This is what the country has become; people will go to really drastic measures purely to avoid lifting a finger. We are now in a situation where unemployment is a fashion statement – a middle finger to the government which is seen to be responsible for all this. Scrubbing toilets is something which is considered an unacceptable way to earn money – yet, as soon as a ‘foreigner’ comes in and is willing to do it, they stand accused of ‘stealing all our jobs’. The solution is not unmanageable. Leaving the European Union would free up billions in revenue which could be used to create more public sector jobs, even if they only pay minimum wage. In 2007, the UK was paying around £12bn every year to remain in the EU, a figure which has since increased. Another way to help the issue would be to deport all illegal immigrants, and to put a cap on legal migration as we simply cannot afford housing for these volumes of people. Skilled migrants ought to have priority, as they do in Australia, thus ensuring that everyone entering the UK will indeed be contributing to the economy. All people on Jobseekers’ Allowance should then be fully reassessed to ensure that everyone who can work is working and not wasting government funding. Last year, the government forked out £6.6bn on Unemployment Benefits and a further £1.3bn on housing. In 2009, only £4.8bn was spent on unemployment, but the estimate for this year is around £6.7bn. Cameron’s lavish spending on overseas charities has also caused him to be put under public scrutiny. This year he pledged £814m of taxpayers’ money to the Global Alliance for Vaccines and Immunization, run by Bill Gates, bringing the UK’s total contribution to £1.5bn. Finally, our troops could be fully withdrawn from Afghanistan – a war which has cost us over £20bn since 2001, not to mention the 379 lives lost. It’s simply not worth it. However, since the logical resolutions are seldom the ones that are used, here we are. The government is paying out more money than it can afford; people are being made redundant, which drains even more resources through benefits; we are pumping funds into the EU for little perceived return; graduates cannot find work; youth unemployment is at a record high, and people are breeding work-shy children who would rather be arrested for rioting than go to work and earn money to buy things. This is what Cameron meant by ‘broken Britain’ – and, actually, he was right. Over the last couple of weeks we’ve seen virtually every talking head the mainstream media can lay their hands on – me included, to be fair – talking about the causes of the riots. They’ve blamed everything from the public spending cuts which started with this government taking office to the availability of social networking. This, we are told, is the prime cause of all of the rioting and looting which hit Britain’s major cities a fortnight ago. I firmly disagree with this idea: why (literally) blame the messenger? The medium used for the message is not a problem, it is the message itself. Less well informed commentators have been frantically blaming Twitter and Blackberry Messenger (BBM) for spreading information to rioters so they could avoid the police and attack areas that hadn’t been hit. I say this is nonsense; WL’s liveblogs were based entirely on information from Twitter and the only people I saw on there encouraging the rioters were people like Jody Macintyre, notorious for deliberately taking his wheelchair into the middle of a student riot. For potentially committing the criminal offence of inciting a riot, Macintyre was sacked from both the Guardian and the Independent. Virtually no-one “on the ground” was publicly encouraging others to smash up businesses and steal designer goods. In my opinion the main cause of the riots was the sudden realisation that there was a power vacuum. When the peaceful demonstration in Tottenham got out of hand and descended into violence, the rioters there realised that the police were doing little or nothing to stop them. And it spread like wildfire. Prominent police blogger Inspector Gadget took a straw poll of his readers the other day and the results were interesting. The majority of them believed that, in the days since Ian Tomlinson’s death (caused by his being struck with a police baton at the G20 protests) police constables are very likely to be hung out to dry for enforcing the law robustly. Whilst reporting on the riots, I noticed a real change in the levels of violence from Tuesday afternoon onwards – by midnight on Wednesday it was all over. Why? The rolling news footage told the story. Instead of seeing police officers standing still and letting the rioters throw things at them, we were watching them charge forward and take control of the streets again. Within hours the riots had petered out. I really do believe it is as simple as that: lack of firm action to contain the usual level of anti-police violence in certain areas of London led to rioters pushing the boundaries to their absolute limit. What we must do now is resist the latest attempts by politicians to shut down social networking sites during instances of public disorder. Instead, we must get them to concentrate on effective law enforcement in the less stable areas of London.